In this post we will be discussing about some of the HTML5 Responsive Frameworks for Web Developers. Developers likes HTML5 because of its better interoperability between browsers and that's why it emerged as an important language for cross platform mobile application development. In this post we will be discussing about some of the HTML5 Responsive Frameworks which will assist developers to build responsive web applications. 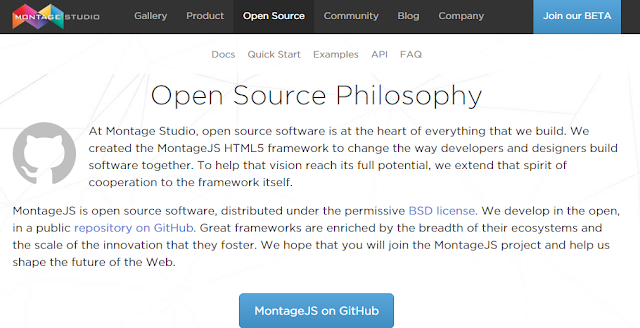 MontageJS is a open source software which helps the developers to build high-performance and scalable web applications. It allows you to create a modular architecture for your projects and deliver a high-quality user experience. It provides modular approach towards component reusability and code organization. Base is a Rock Solid, Responsive HTML/CSS Framework. It is a lightweight and have minimal code. You have to spend less time overriding styles and focus more time on creating beautiful website applications.It has features like Responsive Design, Solid Foundation, Cross Browser, Modular Code and Automation Sensation. They claim to be the most advanced responsive front-end framework in the world. It is a framework for any device, medium and accessibility. They are known as a family of responsive fron-end frameworks that make it easy to design beautiful responsive websites, apps and emails that look amazing on any device. Skeleton is also another good one!